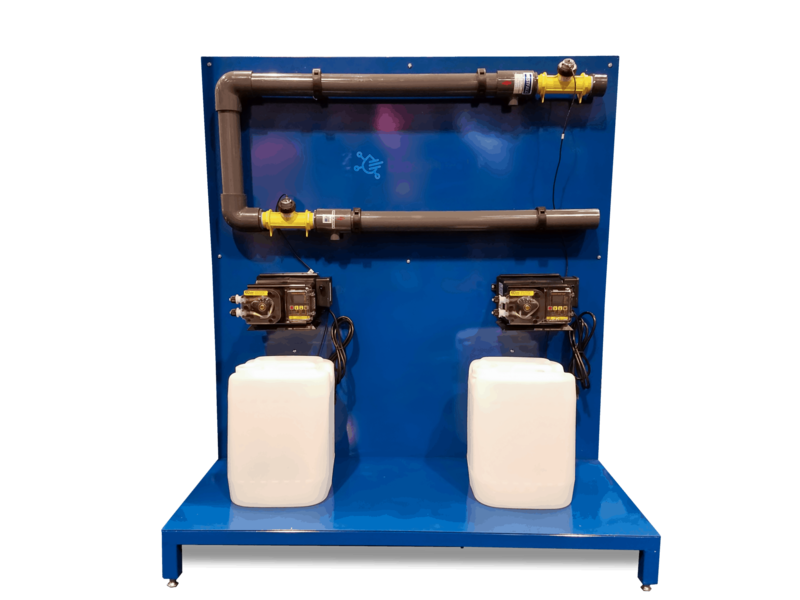 The Bio Complete Water Restoration System is a biological process that uses naturally occurring microbes to remove car wash chemicals out of used water. The resulting clean water can be reused in the car wash. Via gravity, solid matter suspended in the water settles to the bottom of a series of tanks. These solids can then be collected and hauled away. Used water enters the aeration tank where oxygen is infused into it. This infusion causes the naturally occurring microbes to switch from their anaerobic to aerobic state. In their aerobic state these microbes give off odorless carbon dioxide (CO2) gas. 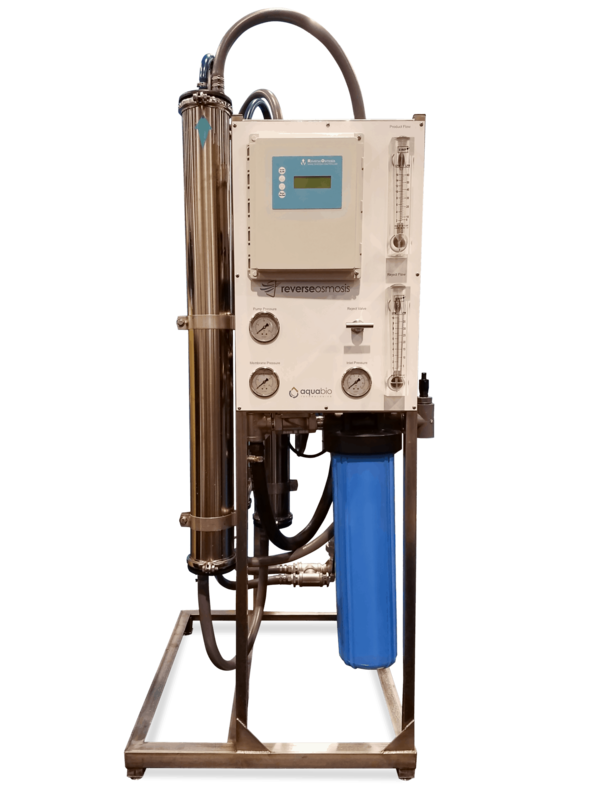 From the aeration tank, the used water is pumped into a series of cyclones that separate out any remaining suspended solids larger than 5 micron (approximately the size of one human blood cell). After cyclonic separation is complete, the used water enters the bio tank where naturally occurring microbes consume the car wash chemicals. Once the chemicals are removed, the water enters the clarifier tank. At this point, dead microbes settle to the bottom of the tank where they are pumped out daily. The clean water then gravity overflows into the clean water tank where it is stored until it is needed in the wash. On demand, the water is repressurized and sent back to the wash for use. 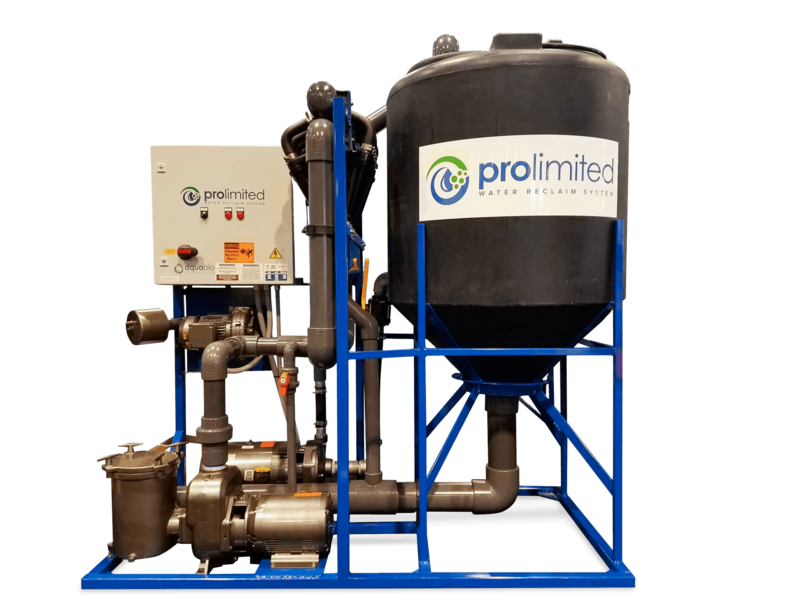 The Pro Limited is an entry-level water reclaim system that recycles used wash water for reuse. 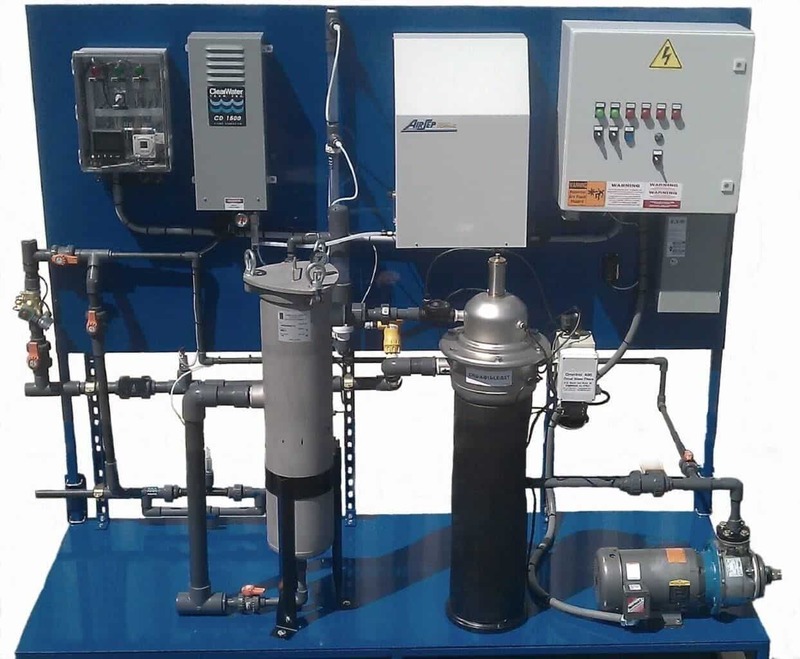 Since the Pro Limited does not contain a biological component for removal of car wash chemicals, the recycled water from this system should only be used in the early stages of a wash.
After cyclonic separation is complete, the used water enters the conical tank where it goes through further separation. The conical tank also acts as a water storage unit, repressurizing the water and sending it back to the wash upon demand. 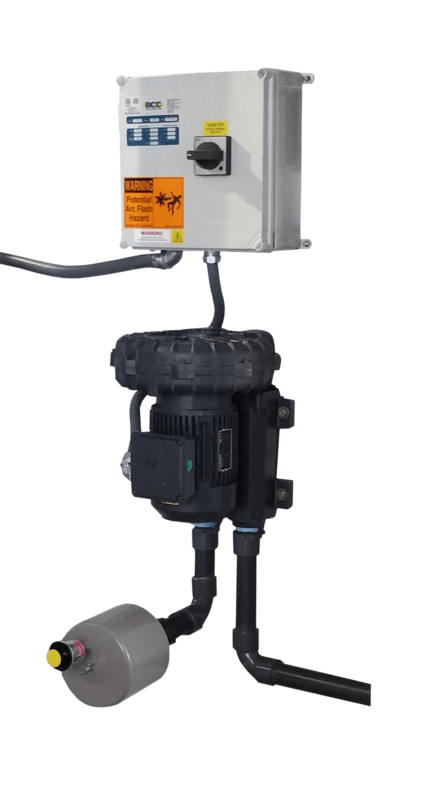 The Pro-Odor control system utilizes natural forces to prevent re-used wash water from containing an odor when used again in the wash. Traditional methods of odor control are chlorine bleach, air sparger, bubblers or ozone. These systems have all proven to be ineffective for year-round odor control caused by anaerobic bacteria. 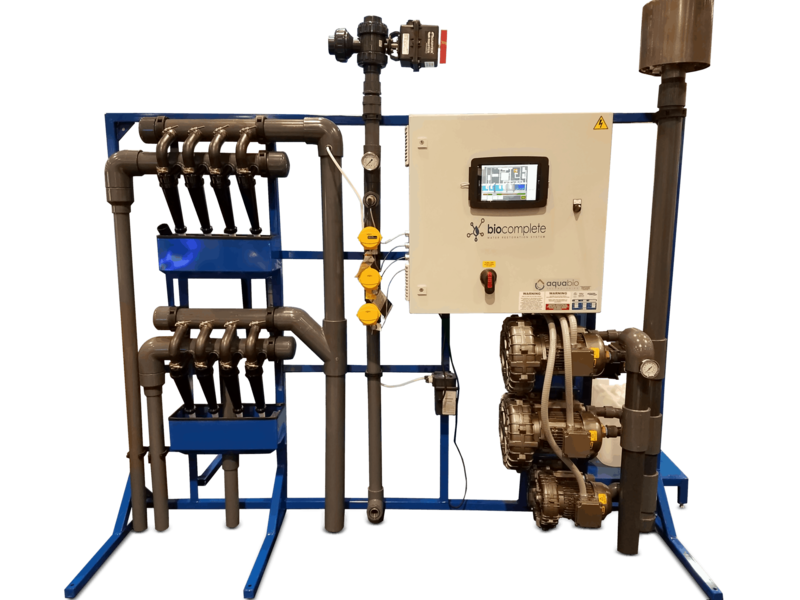 Aqua Bio reverse osmosis systems are designed for overall superior performance, high recovery rates, minimal energy consumption and offer great savings with low maintenance and operation costs.